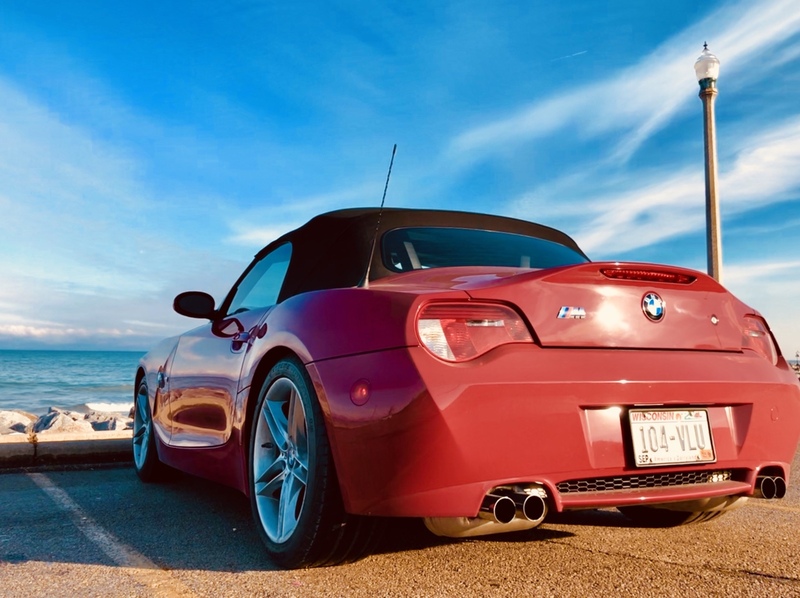 Hello, I just recently bought a 2007 Z4M which is a car I've always wanted to own one day, and I absolutely love it so far. By doing some quick research, as this is my first BMW, I can already tell it's not going to be cheap to maintain and modify as I expected.. I'm close to 50k miles and I'm not sure how the previous owner treated it as far as maintenance and stuff so I'm looking to learn much as possible about these car to restore it back as close to 100% as possible and get it ready for some track time!! Can't wait to go crusing this summer!!! Woah, looks good. What part of the state are you from? I'm glad to see you escaped facebook and made it over here! Beautiful car! Imola is one of the best red's! Have you had any track time before? Welcome, neighbor! New Berlin here. Whatever added maintenance costs may exist from bmw ownership should be offset by how much joy you get from driving the car. Lol awesome yeah man I can't wait to cruise around!! Hey I was wondering would I get a notification if there's a post about a meet that's happening? Or is that something I have to keep an eye out for? Keep an eye on the "Local Events" subforum, usually anything we plan/do is posted there. There is an event calendar but it hasn’t been maintained as diligently as it once was. The meets and drives get posted in the Local Scene forum and mainly just have to be on the lookout. 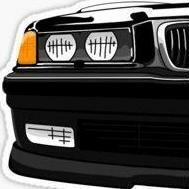 Traditionally there is the Badger Bimmers E30 picnic at Frame Park in Waukesha every May, usually the 3rd Saturday. There is always an “Autumnal Gathering” and usually 1 or 2 other official meets/drives. A handful of folks do track days and autocross together and sometimes there is a trip to Veloce for some karting. Perfect thank you, glad I was told about this group this is exactly what I was looking for!! Definitely want to do some auto x to get used to the rwd! Thanks man I'll keep an eye out for events can't wait.. Welcome! Looks like you found a great car. If you work on your car yourself, maintenance won't cost much more than anything else. Don't let all of the less informed folks on Facebook scare you. 2016 WRX, thats pretty new, so you must have gotten sick of it pretty quickly, yeah? Welcome!! This is the place to be! Awesome! Well i'm sure the Z4M will be worlds different than the WRX! Where have you done track time? Yeah in less the 2 years I put in 78k miles and spent over $15k in mods.. Had enough fun with it, can't make more power without sacrificing reliability in those cars so I decided to go another route.. Was a fun car though. Yeah definitely, right away I can tell it's going to be more fun though in the Z4 M lol.. I did some winter autocross at road America and track days at black hawk farms.. Can't wait to take the Z4!! Welcome! Did you buy the car locally? 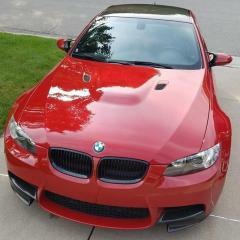 I did drive a imola red Z4M once at the dealer back in the day. Fun car! Saw you on WCEC in Facebook but i don't say much there because I'm the broke guy who only hates on new turbo M cars because he's just jealous he can't afford a nice car. Seriously though the motor in your car is plenty reliable. At this point in the car's life there shouldn't be any major mechanical to worry about. Maintenance is always higher on an S motor because you need 10w60 oil and more quarts of it, but overall still not bad. I do cruises all the time with a smaller group of members here who are more apt to cruise regularly on backroads. I also have a client out in Greenfield that I occasionally am onsite at so probably not too far from you. There will be opportunities to drive this summer. I've also been historically active at the track and have eaten a tire wall in my day at Blackhawk. Funny story I'll tell you about it sometime. I'm always looking for other WI bimmers members to do track days with.